Katju Corruption Exposé: Congress' Existence Faces Threat? The heat of the corruption allegation for Congress party has not ended yet, but its existence in Indian politics seem to face threat. Experts believe that the existence of Congress is facing a threat and revelations such as recent allegation of corruption in Indian judiciary during UPA regime, is only adding to party's trouble. Former Supreme Court judge Justice Markandey Katju on Monday reportedly alleged that three Chief Justices of India (CJI) namely, R. C. Lahoti, Y. K. Sabharwal and K. G. Balakrishnan made "improper compromises" in appointing a district judge of Tamil Nadu as the Additional Judge of Madras High Court despite allegations of corruption against him. He alleged that Congress came under the pressure of its ally party DMK—based in Tamil Nadu, and asked the CJIs to take the unscrupulous move. Following the allegations, BJP on Tuesday asked Congress to explain its involvement in the alleged scandal. "Former Prime Minister Manmohan Singh and Congress should come forward and answer the allegations of how different constitutional bodies, including the Judiciary, were misused for political reasons. It is unfortunate and a matter of serious concern," NDTV quoted BJP Vice President Mukhtar Abbas Naqvi. This is not the first time Congress is being accused to corruption. Scandals started to flow in one after the other with Congress' second consequent victory in 2009. 2G scam, CWG scam, Adarsh scam and NREGA scam are some of the major scandals that were revealed during its tenure starting from 2004. Congress remained a dominant political party since independence until 1991, however, its dominance started to decline after 1996 when the Lok Sabha (LS) election resulted in a hung assembly as none of the three major parties at that time had majority in the Parliament. It again came back to power in 2004 with just 82 seats and aimed at establishing its foothold back into politics. It launched NREGA, the scheme to provide employment to unemployed rural household, along with several other schemes. Its strategy however, caused harm to the party, as the country was plagued with inflation, which filled the Indian voters with despise against the party. The influx of incessant scams too fuelled Indian citizens' anger against the UPA government. It lost the election with just 44 seats in LS and BJP emerged victorious with 282 seats. Despite being defeated in the past, Congress managed to return to power. However, this defeat brought with it strings of losses for the party. Within two months of losing the elections, the Jammu & Kashmir National Conference and Congress alliance ended on 20 July. Its hold in other states is also facing threat as BJP president Amit Shah is knitting strategies to form government in the states that has assembly elections this year. The country, which wanted a strong leader and clean governance to provide better employment opportunities and better lifestyle voted for Prime Minister Narendra Modi, who promised all of it. 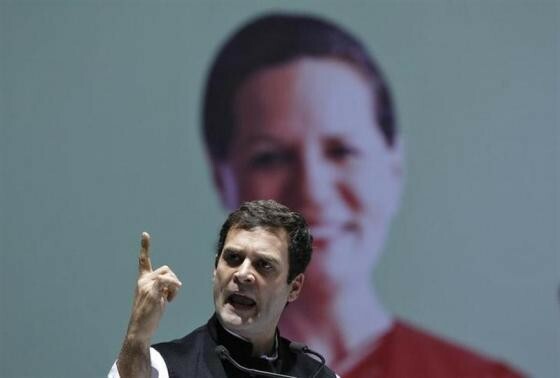 The Congress' youth leader— party vice President Rahul Gandhi—failed to accomplish what his rival did. Analysts have reportedly said that Congress failed to put forth a strong contender and it also failed to provide better governance in the past, which the Modi-government is trying to deliver. With a strong government at the centre there speculations that the party's existence is at threat.